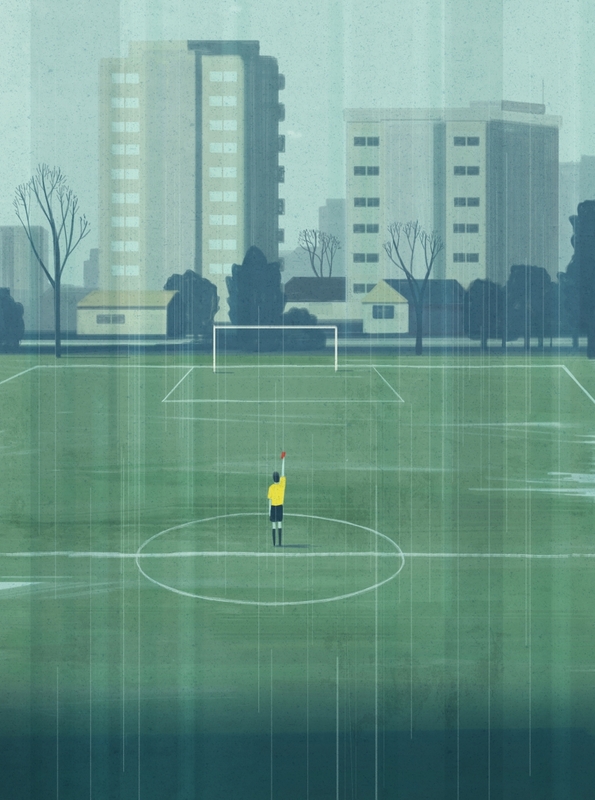 Illustration series about the football referees life, from training and Sunday league game to the World Cup. Webb is bald, but, at 44, he is not old, and neither does he look it. He is tall and impeccably trim, and he has a deep, baritonal south Yorkshire accent that makes him seem at once approachable and authoritative. When we shook hands on first meeting, he grasped firmly and looked directly into my eyes, as if trying to make an immediate and lasting impression. Habit, perhaps. Mike Riley, another ex-referee. PGMOL reacted by releasing stats – minor percentage improvements in the accuracy of major decisions – meant to provide proof of a development in refereeing quality since Hackett’s exit five years ago. They did, but a question lingered: do standards need to improve, and how might that happen? When he was ready to leave, I asked Webb, who could still theoretically referee in the Premier League, whether or not he missed being an official. When Alex Clubb and I met in the pub in December, he stumbled over the question of whether or not he actually enjoyed refereeing. He could not answer positively. In fact, he could barely answer at all. Whenever I brought the issue up, our conversation would unravel into moments of prolonged silence. I got the impression it was a question with which he’d wrestled previously. In late January, I asked him again, one final time. When Clubb made a decision on that penalty, he did so swiftly and with extreme confidence. It was not a ruling half of the players on the pitch were happy about, but still, the game went on. As the match ended, and players shook hands, Clubb began walking towards the sidelines, readying himself for the cycle home. In a couple of weeks he would likely repeat this whole experience again – similar location, similar players, similar decisions – but for now, the game was done. As Clubb reached the edge of the pitch he paused, turned, and looked out. When he moved back towards his bike, he was smiling.